The Charity Commission ruled that the Plymouth Brethren Church will not receive charitable status because it does not permit outsiders to receive communion. According to a Christian Concern article, under charity law churches and other organizations must show that their existence has some form of public benefit. Therefore, in refusing communion to a particular part of society, the Plymouth Brethren church is no longer deemed as a universal public good. 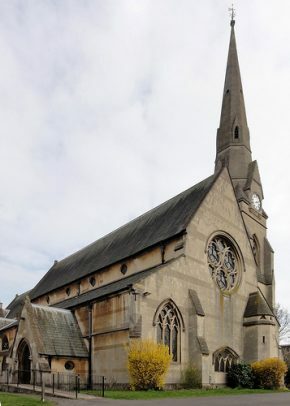 In a letter to the Plymouth Brethren, the Charity Commission elaborated on its refusal to grant charitable status to one of the denomination’s churches in Devon. A looming question in this debate is what this might mean for other churches, particularly the Catholic Church, if the ruling is upheld. Catholics also refuse Holy Communion to anyone who is not a part of the Catholic Church or in a state of mortal sin. Christian Concern reported that a committee of MPs is currently investigating the Charity Commission. Some of these have expressed concern that the Charity Commission is engaged in a “politically correct” campaign aimed at suppressing Christianity. A law introduced in 2006 means that organizations which previously gained charitable status automatically now have to demonstrate “public benefit”. Professor Peter Luxton, an expert in charity law at Cardiff University, said the Charity Commission’s attempt to define public benefit was “a nonsense,” since the 2006 law did not make any changes to the definition of a charity. This is thought to be the first time the commission has denied charitable status to a religious organization, opening up the possibility that other Christian groups may lose out. “This is a good time to remember the huge public benefit that Jesus Christ has brought to our nation,” said Andrea Williams, Chief Executive of Christian Concern. “In his life and teachings, he promoted the values of service, compassion, generosity and tolerance, all rooted in love. The public benefit of such values is not disputed by any clear-thinking person. “So much of what we hold dear as a nation – including healthcare, education and just laws – has arisen from Christian ideas. “The Charity Commission does indeed need to be held to account over its decision and I hope the Public Administration Select Committee will have every success in doing so”.